Discover what makes Dreamweaver the most popular web design program on the market. Janine Warner is the author of every edition of Dreamweaver For Dummies. 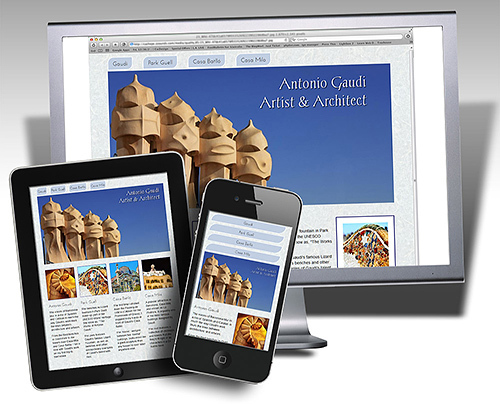 Dreamweaver is the most popular commercial program for creating custom websites. Developed by Macromedia and later acquired by Adobe Software, Inc. Dreamweaver is part of the Adobe Creative Suite, which includes Photoshop, Illustrator, Flash, Premiere, Acrobat, and many other popular design programs. You can download a free 30-day trial version of Adobe Dreamweaver. I was a reluctant Dreamweaver student at best – disgruntled might describe it better. This is my 5th day using the 2 tutorial DVD’s I bought and it’s all starting to click! Yeah! I’m surprised to say… brace yourself… I think I’m actually starting to like Dreamweaver! Wow!!! Thank you for your cheerful and easy to follow instructions. They have made all the difference in the world! “The company I’ve been working with for six months now has given me extra hours – and extra $$$ – to help implement a new CSS initiative for all four of their business units (read: websites). The company’s Director of Technology was very impressed with my CSS expertise and is including me in bigger and more wide-reaching projects. I owe quite a bit to you, partly for your helpful resources and partly for making HTML and CSS cool! “I agree with the comments on your site – your videos really do make learning web design fun, and you manage to take the intimidation out of the process!